Here’s my card for this week’s Viva la Verve sketch. I’m doing a good job at keeping up this month—it’s the second full week of December and I have my card for the second sketch ready to go already! 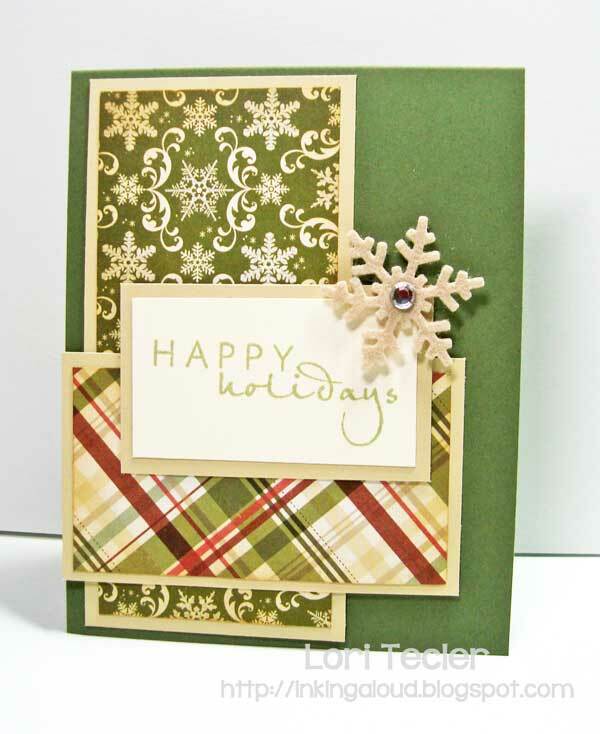 This one’s a holiday card featuring pretty traditional Christmas-like colors. I used two different patterns from a Simple Stories holiday paper collection, matted on a linen colored cardstock, for the card’s large panels. The edges of the patterned papers are inked with distress inks for a warm feel. They’re adhered to an artichoke card base, which contrasts nicely with the linen mats. 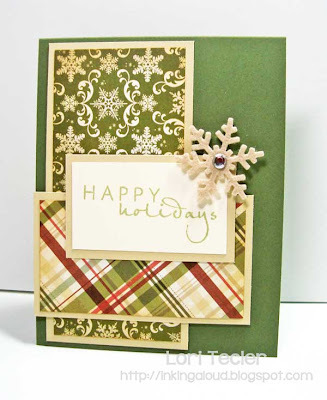 I stamped the “happy holidays” sentiment from Verve’s Frosty Flakes set in green ink on a cream panel, then added that over the patterned paper strips. It’s accented with a kraft felt snowflake with a sparkly crystal center.